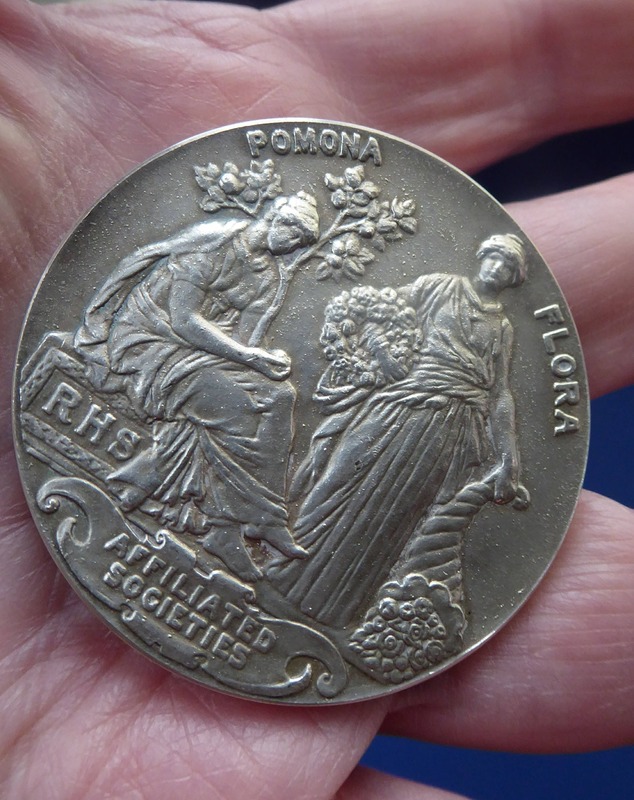 This is a vintage silver medal made for the Royal Horticultural Society. 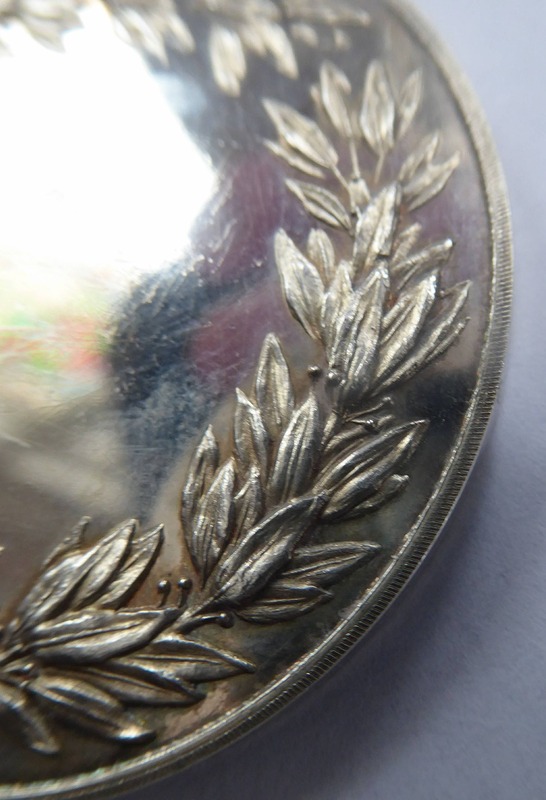 It does not have a hallmark on it - so it will have to be described as white metal or silver plate. 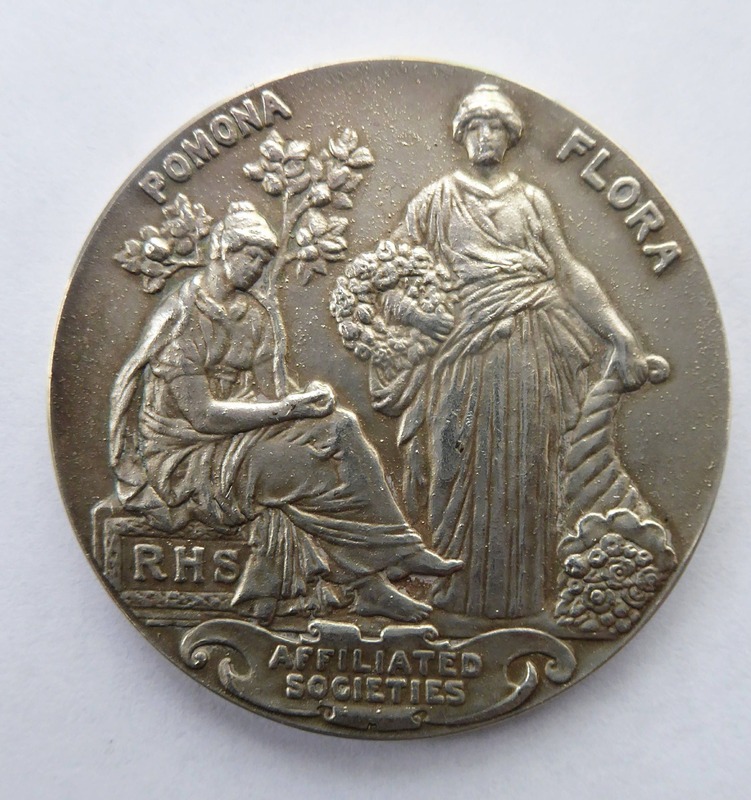 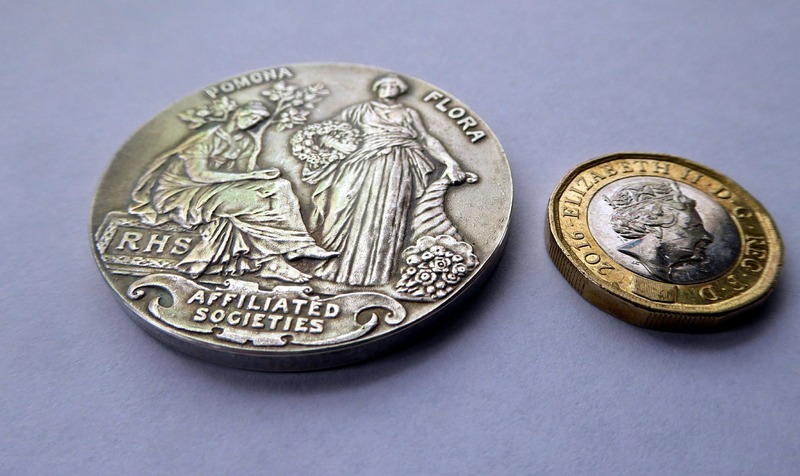 It is certainly a most attractive medal showing images of the goddesses: Pomona and Flora. 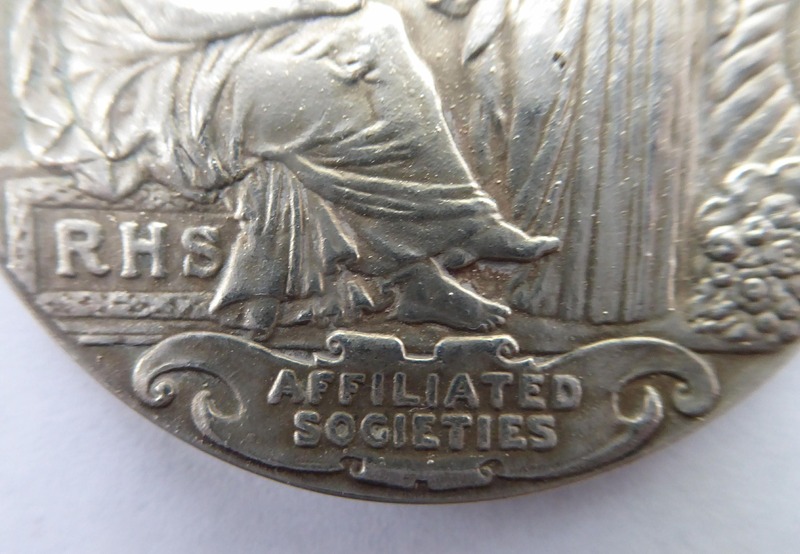 The words Affiliated Societies are annotated below. 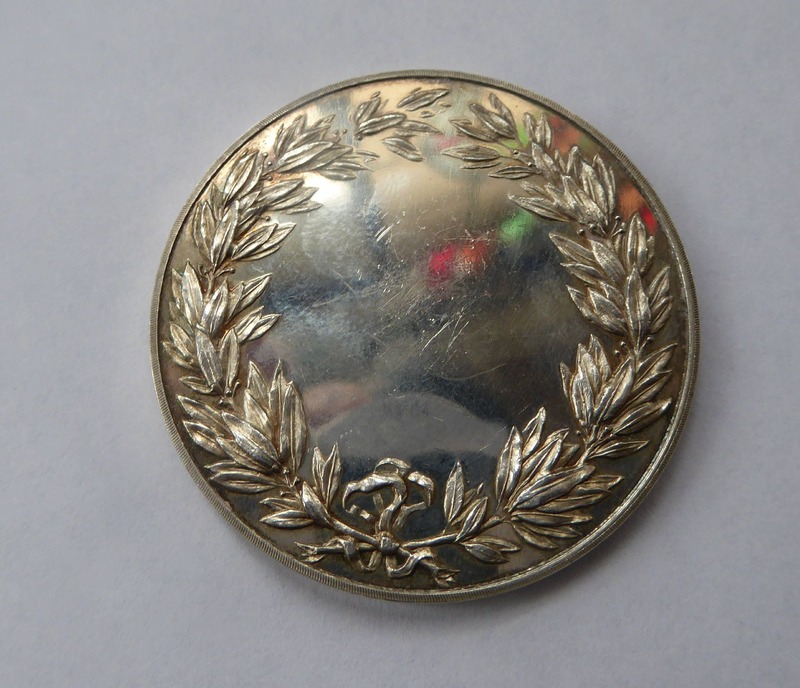 On the reverse - there is a laurel wreath with a blank central space - which would usually have an inscription of a winner or presentation event. 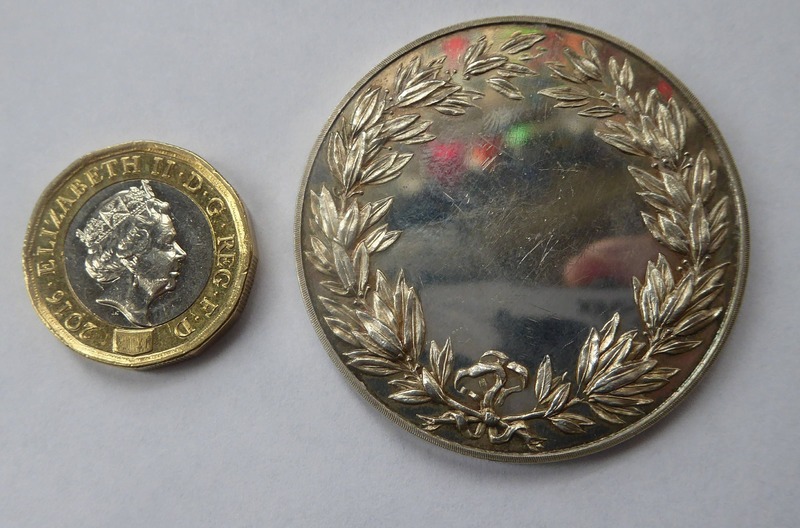 It is rare to find one of these medallions with no inscription on it - this is reflected in the price. 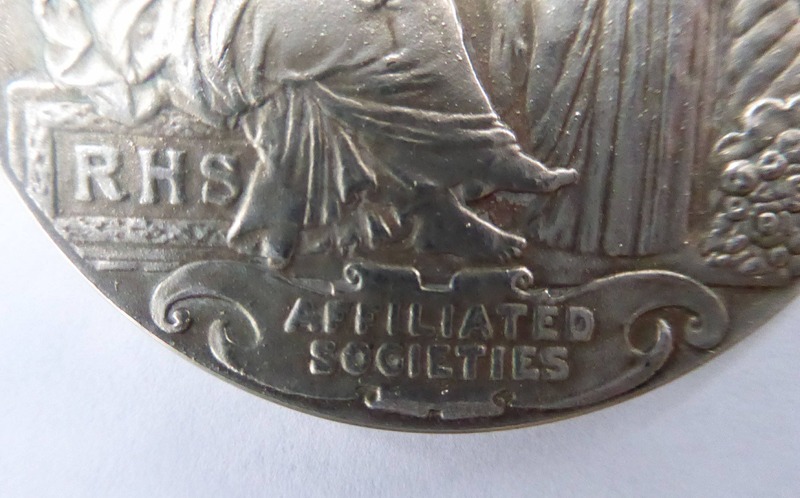 A couple of little scuffs to the blank area on the obverse - but not disfiguring and commensurate with age. 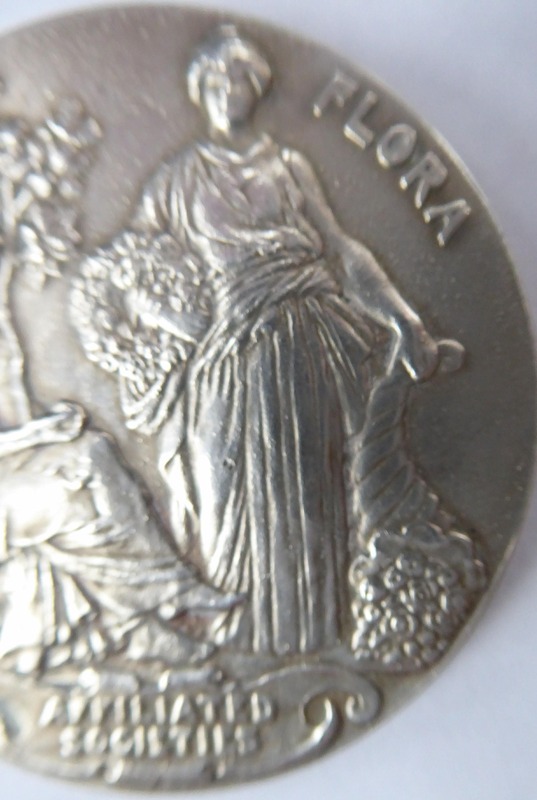 It is in good condition - with nice crisp detailing and no rubbing. 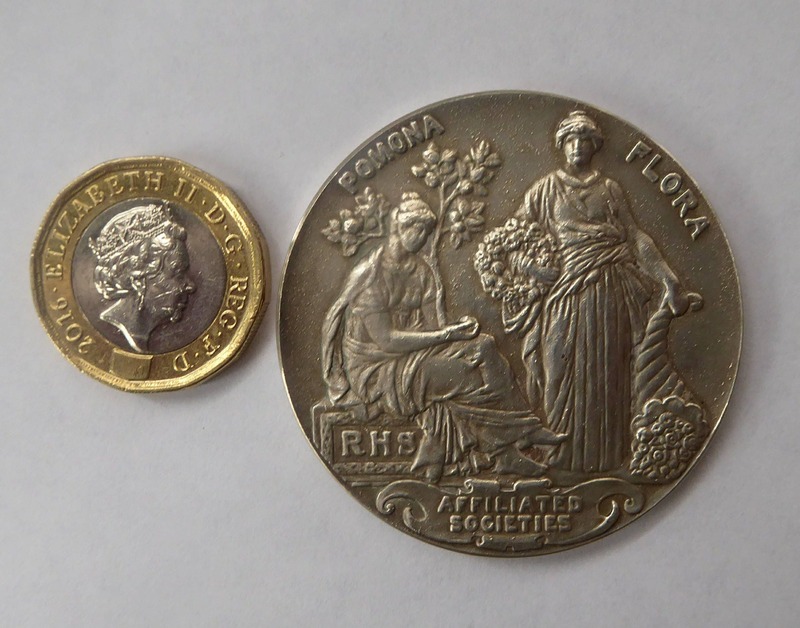 A nice size and measures 4.5 cm in diameter.